Milkfish or Bangus in Tagalog is the national fish of the Philippines. Filipinos have been creative in finding ways to prepare and serve this. You can fry, grill (stuffed or unstuffed), bake, put in soup and even smoke it. 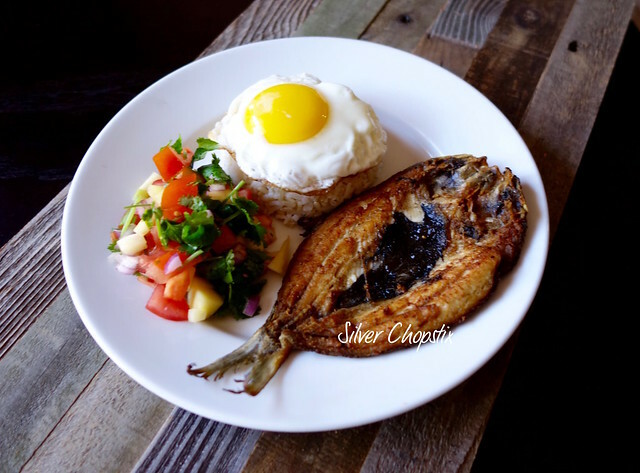 There are two recipes that I have made using milkfish which can be found here and here. Filipinos or Asians usually cook and serve their fish whole (meaning with the tail and head intact). I learned to eat fish this way and fillets is not a common sight in our kitchen. My grandmother and mother would both agree that it’s because of flavor that fish is prepared in this manner. Bangus is very boney and I remember getting fishbone stuck in my throat from eating this fish as a child. I stayed away from this for a while until “the boneless or de-boned” milkfish came into the market. There are even special cuts you can buy now like the “bangus belly” which is considered a delicacy. There is a restaurant that opened in the 80’s named Bangus that has only milkfish in their menu. I believe they are still in operation and has now several branches. Nowadays, it is easy to just buy ready to cook bangus. I got my boneless marinated baby milkfish at our local Asian food store in the freezer section. 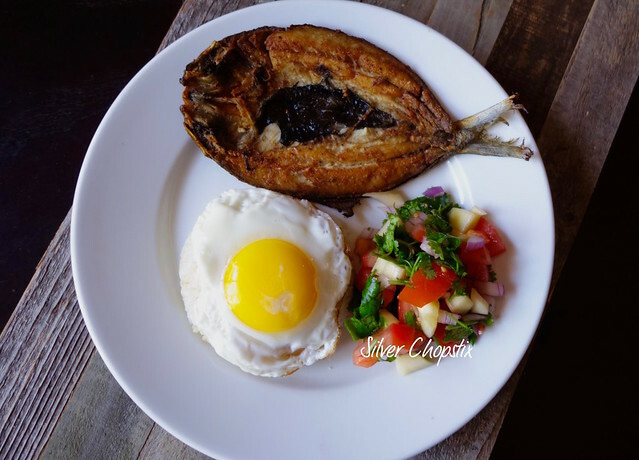 It is seasoned with garlic, pepper and vinegar and you just need to defrost it and it’s ready to fry. To make, heat a non-stick pan and add 4-5 tbsp. of oil. Then place the fish skin side down and cook for about 4 minutes, then flip to cook the other side for another 4-5 minutes. 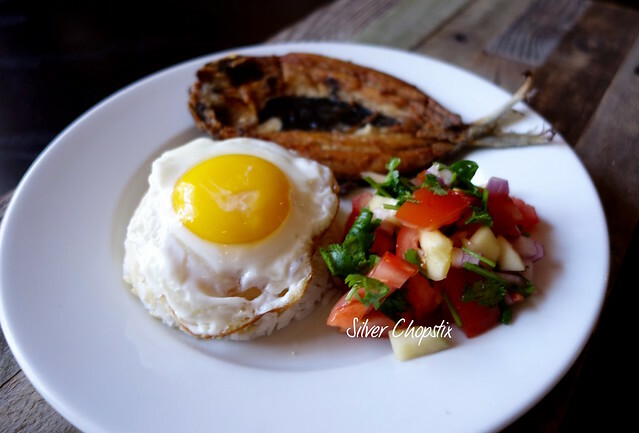 I served it with steamed white rice, a side of mango tomato and cilantro salad and a fried egg sunny side.